Member, Committee on Virtual Reality Research and Development, National Research Council, 1991-1994. 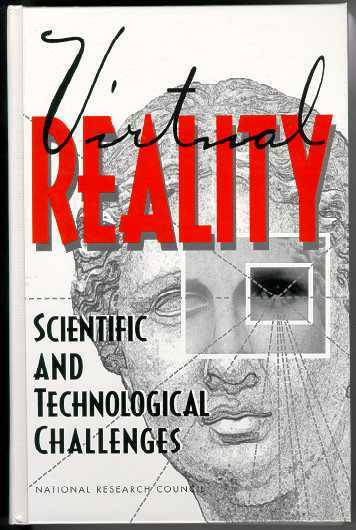 The committee produced a book recommending a national research agenda for the field: Virtual Reality: Scientific and Technical Challenges, National Academy Press, Washington DC, 1995. 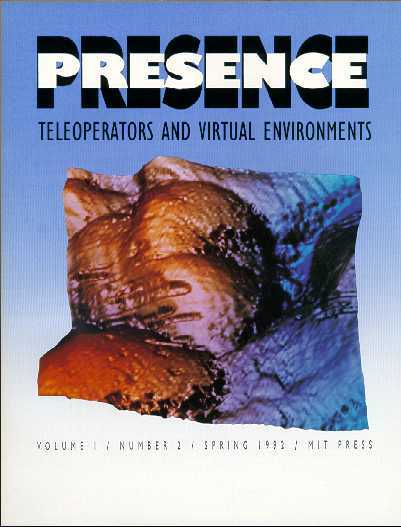 Associate Editor (1991-2000) for Presence: Teleoperators and Virtual Environments, a scholarly journal for the fields of VR and teleoperation. 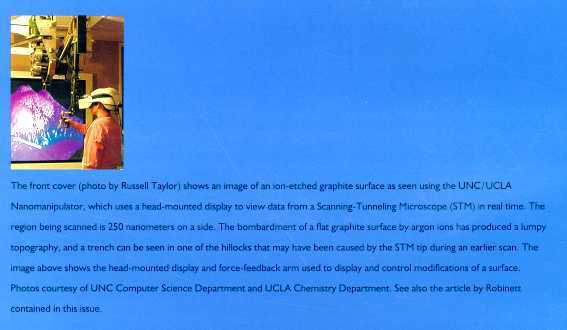 Invited speaker, International Conference on Artificial Reality and Tele-existence (ICAT), 1992 and 1998. 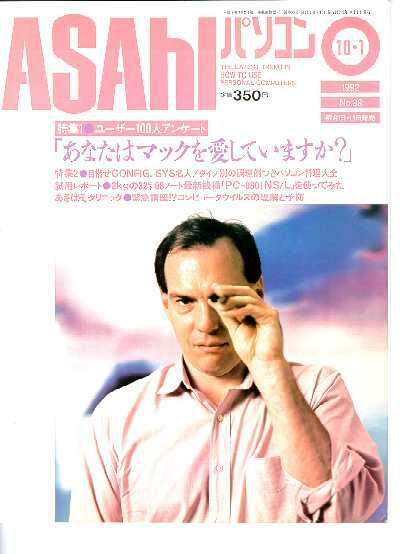 Cover story of Asahi Shimbun magazine: "What's in your dream? 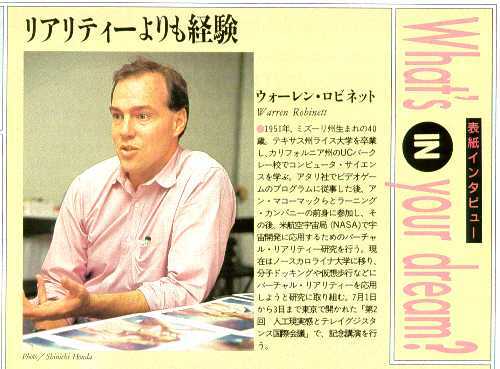 ", biographical sketch of Warren Robinett (in Japanese), October, 1992.